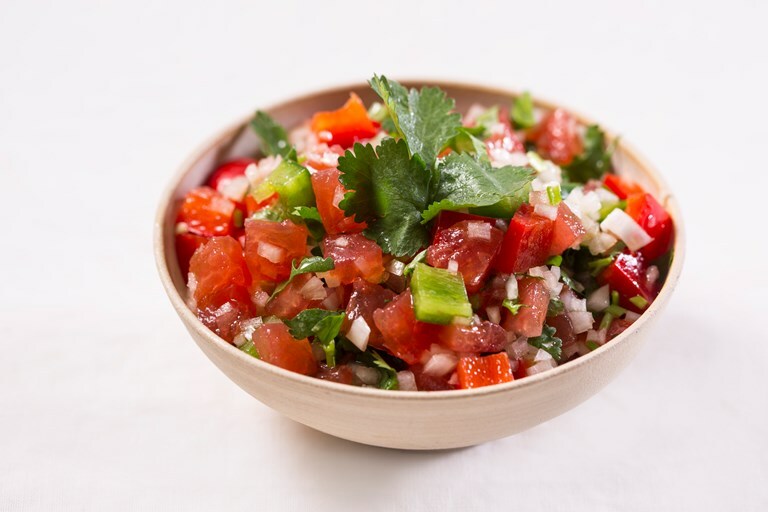 This South American fresh tomato salsa recipe from Marcello Tully is similar to a pico de gallo and makes a delicious accompaniment to fish and grilled meats at a summer barbecue. Try adding a squeeze of lime or chopped chilli for an extra hit of flavour. Begin by skinning the tomatoes. Bring a small saucepan the boil and add the tomatoes for 30 seconds. Remove from the pan and plunge into ice-cold water.